I’ve been revisiting “Xena: Warrior Princess” on Netflix. In an episode called Paradise Found, Xena and Gabrielle find themselves in an isolated compound where they each become more themselves. Gabrielle — the storyteller who often serves as Xena’s moral compass — finds yoga, cleansing, and stillness. Xena gets more jumpy and agitated, wounds appear on her body, and she keeps envisioning herself hurting or torturing Gabrielle. Once Xena loses her mind, she wanders through the gardens killing songbirds and bunnies. It’s as horrific and goofy as it sounds. If the darkness in you lives, no one is safe, not even the people you love, says their mysterious guru. Facing one’s demons is a massive part of my books. If every writer has one theme that permeates their work, that one is mine. Every character has to go through it, whether it means reconciling a relationship or — literally — fighting a monster born from their own fear or shame. Another line from that episode of Xena goes: Goodness going to waste in peace, without evil to keep it alive and fighting. I, and my characters, need both to be whole. 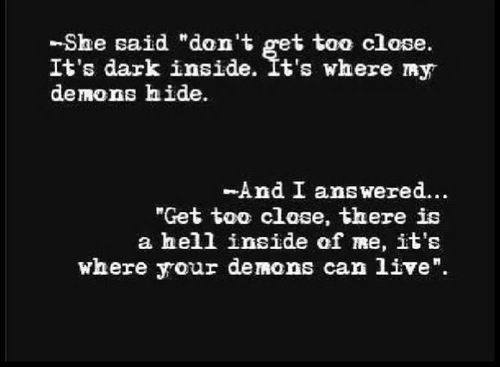 I’m convinced that our inner demons are on our side. They’re part of us, after all. We get into trouble because we speak different languages and we’re too afraid of them to try and bridge the gap. 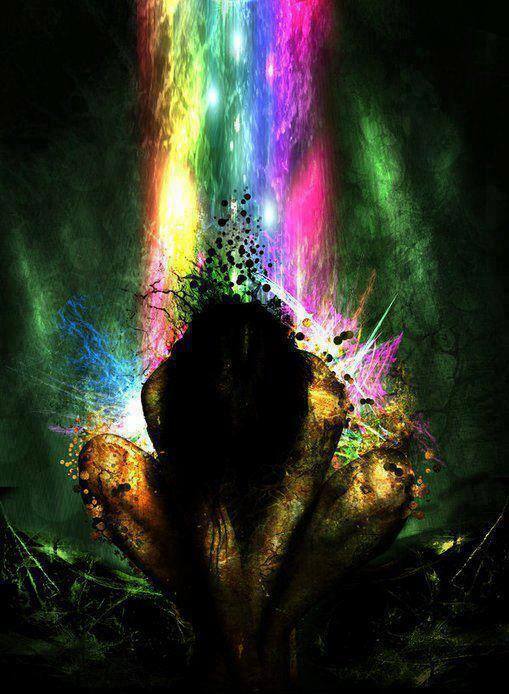 When you have dark or selfish impulses, that’s your little demon-voice telling you that you have an unfulfilled need. Hear its intention, but don’t listen to its suggestion. It doesn’t understand what consequences are — only that it loves you and you’re not happy. The same is true if you go deeper. When your inner demon tells you to off yourself… it’s responding to your unhappiness. It knows you’re in pain and has no concept of healing. It loves you, and wants to help. It doesn’t realize it’s not helping. Your demons only understand you as much as you understand them. What I love about Xena and others of her archetype is her willingness to learn that language and investigate what others are afraid to see. Some speak the language with compassion and understanding; while others only learn enough to hear what they want to hear.That journey, and what they do with that understanding, is how an archetype transforms into a person. This entry was posted in Craft Notes, Musing and tagged darkness, depression, healing, inner demons, Julius Robert Oppenheimer, meditation, morihei ueshiba, optimism, stillness, suicide, writing, Xena on April 22, 2014 by Setsu.